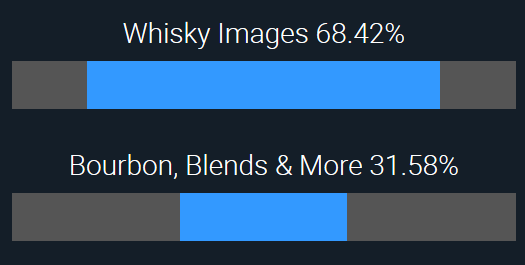 In our first ever development poll, more than 68% of the Whiskystats members voted for option one, the whisky images. Hence we will start work to give you the possibility to upload images to each an every one of the whiskies in our whisky database. Thanks to all of you who left their vote. As we have already mentioned, also those who voted for the database expansion will not be unheard. 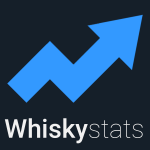 This topic contains 6 replies, has 2 voices, and was last updated by Whiskystats 1 year, 6 months ago. I am very glad to see that you will develope the whiskystas with images. I hope that this will help me to create my Collection with the correct bottles .In that I hope that the pictures will be seen together with text when you select the correct bottle from your database . do you mean that the images shall be visible also in the result list of the database search and not only when you click on a whisky to see its details? Didnt know I had a response to my suggestion. its now possible to upload images (see here). At the moment the images will only be displayed on the whisky site (like here). We will at some point also display them in other places (like your collection´s overview). P.S. if you want to be notified on follow-up comments check the box “Notify me…” when you post a comment. Nice to have a quick answer. Another place where a thumbnail could be useful would be on the whisky database site so it would be easier to select the correct bottle as you select them . What about my images? Is it OK only to show the front lables,I mean the bottles itself are only normally a standard glasspiece? Of cource ,the backlable could also be interresting if the sharpness is good enough to be read. You are right, having the images on the database and collections site too is a good idea. I hope to find the timet o implement this soon. Images of only the labels are fine, although I asume having the whole bottle on the picture would generally be better. If the backlabel adds valuable information you can add it too, of course.